Using QuickBooks software for accounting needs is undoubtedly a benefit since accountants and even naïve users can manage the business transaction records from a singly stored database but what adds a cherry to the top of these benefits is QuickBooks cloud hosting. When an accounting firm or the accounting department of a business firm wishes to expand its capability beyond the limits of desktop computers to achieve a level of active collaboration and to ensure data safety at varied stages, setting up an in-house server is not always the appropriate choice. Setting up a server not only involves huge expenses in purchase of hardware, making connections and laying down the wired infrastructure but also in its maintenance and support. 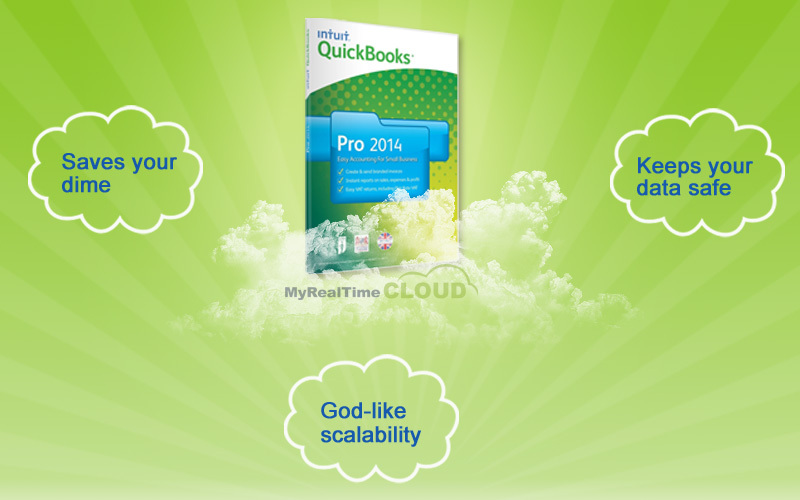 With QuickBooks cloud hosting, users can avail all facilities similar to on-premise server through remote access. So, the users simply have to pay a minimal monthly rent for all the state-of-the-art functionalities. The cost of this hosted system setup is worth for the enhanced ease and efficacy of accountants who can manage their work from anywhere, anytime through any internet-connected digital device. As opposed to in-house setup which involves a fixed minimum count of resources, hosting services allow complete flexibility on the requisites. The accounting user needs in multi-user environment may vary from time to time. Hosted QuickBooks service allots the desired functionality and server space at a particular point of time. Also, it gives liberty to the user to expand needs as and when required and at a scalable cost. This means for every user added or for every unit of increase in server space, there is a fixed amount that the user has to pay. So, the resources being paid for are completely utilized. The costs of extra resources required otherwise are much higher than the rent of required number of resources. So, hosting system does pay for its setup. For ensuring complete backup and security of data, a lot of physical equipment and installation is required along with virtual check of the in-house network. Accounting firms are bound with the sensitivity of data but managing a secure system to guard the integrity and confidentiality of business information is in fact a hefty expense. QuickBooks cloud hosting service providers set up an extensive architecture within their varied data centers to ensure the security and reliability of client data. All this is generally available as a complementary addition to the services and thus, virtually at no extra cost. Thus, the users can be assured of intense backup of their QuickBooks accounting data over a robust hosted infrastructure.